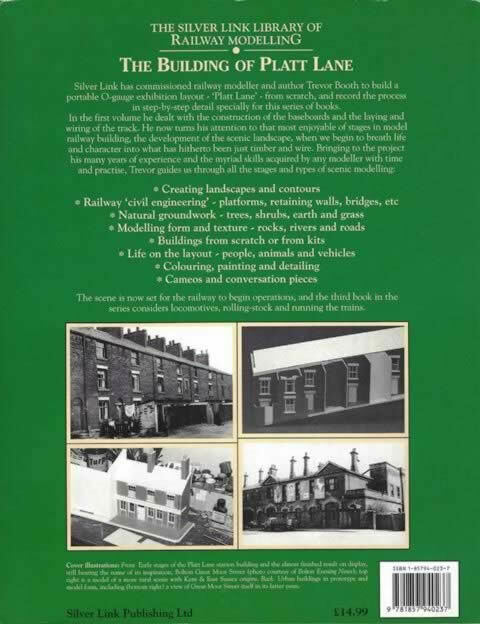 The Silver Link Library of Railway Modelling: Creating the Scenic Landscape - Stations and buildings, Fields and trees, roads and rivers, Construction techniques, Painting and detailing. 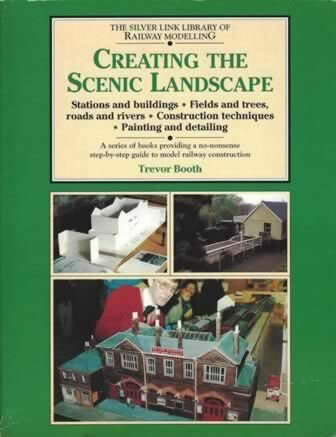 A series of books providing a no-nonsense step-by-step guide to model railway construction. This book is written by Trevor Booth and was published by Silver Link. An image is shown for your information, and if you click on the image a scannned copy of the back cover will be displayed.